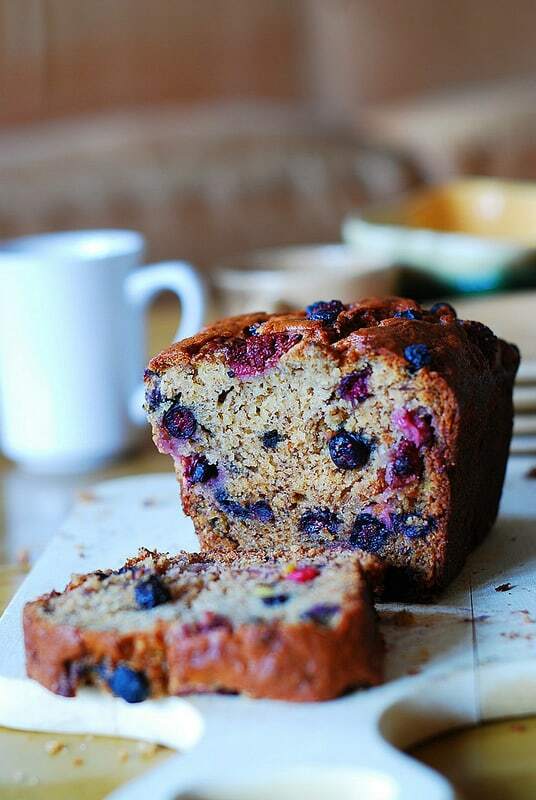 Strawberry Banana Bread with Blueberries – the best strawberry banana bread ever! Moist, delicious, flavorful. Made even better with the addition of blueberries. Whenever I make banana bread, it’s usually because I have overly ripe bananas that are about to rot but I don’t want to waste them. You should’ve seen these 3 bananas that went into this bread: they were black and already mushy inside their banana casing. 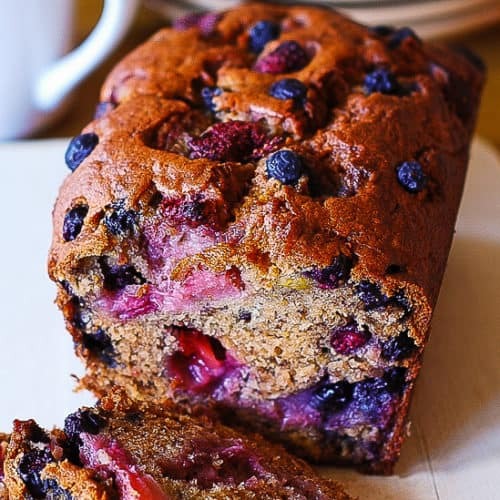 This time around, I also had a package of fresh strawberries that were getting dangerously soft and a package of wrinkled fresh blueberries, so why not throw all of these soft, wrinkly, mushy ingredients together into one deliciously moist strawberry banana bread! And what a great and colorful strawberry banana bread it turned out to be! I also added a tablespoon of fresh lemon zest to the bread batter which gave the bread even more oomph! It’s like the summer entered my house! 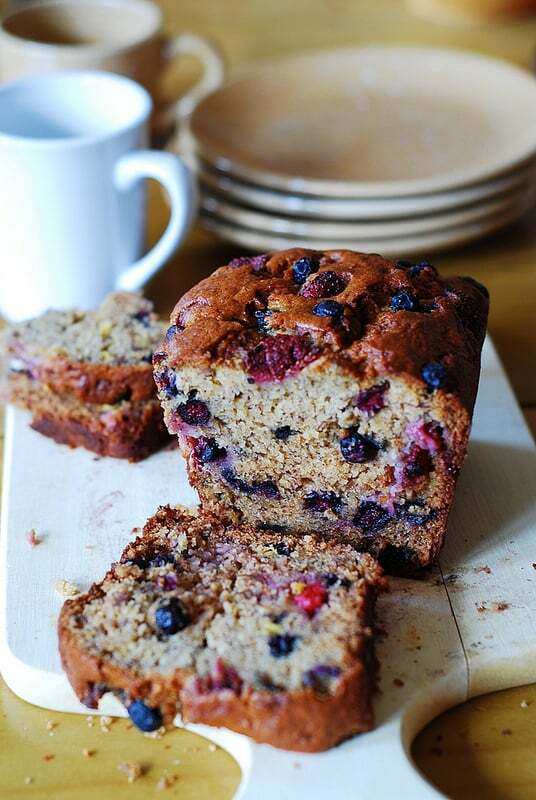 Mixed berries, spiced up by the lemon zest in a banana bread – to me, it tastes like a summer berry cake. 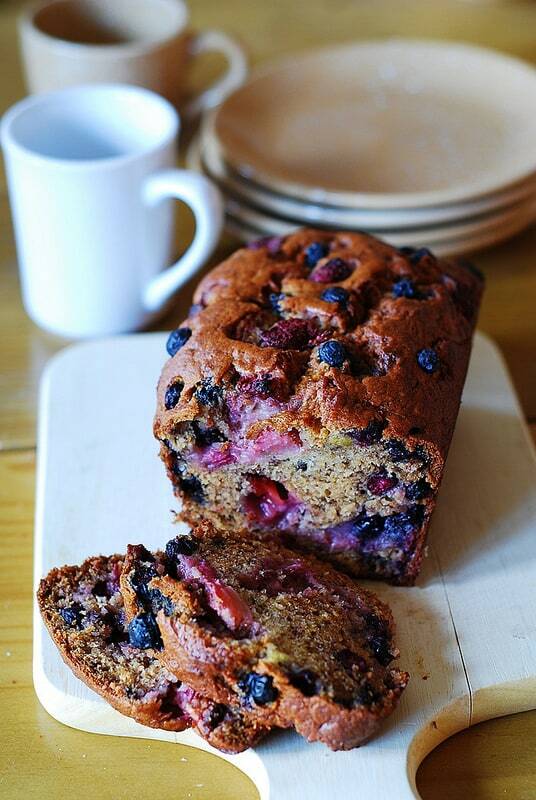 You can’t really go wrong with a very moist banana bread stuffed with strawberries and blueberries. 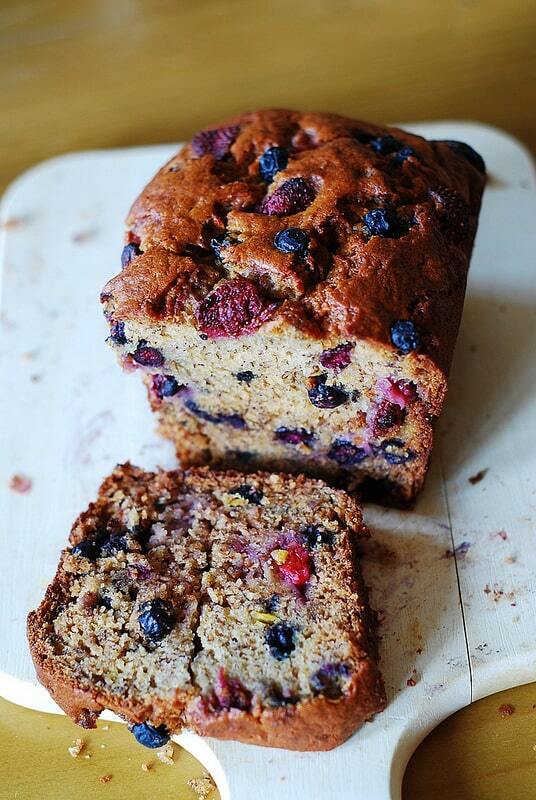 The best strawberry banana bread you'll ever make! Made even better by adding blueberries! 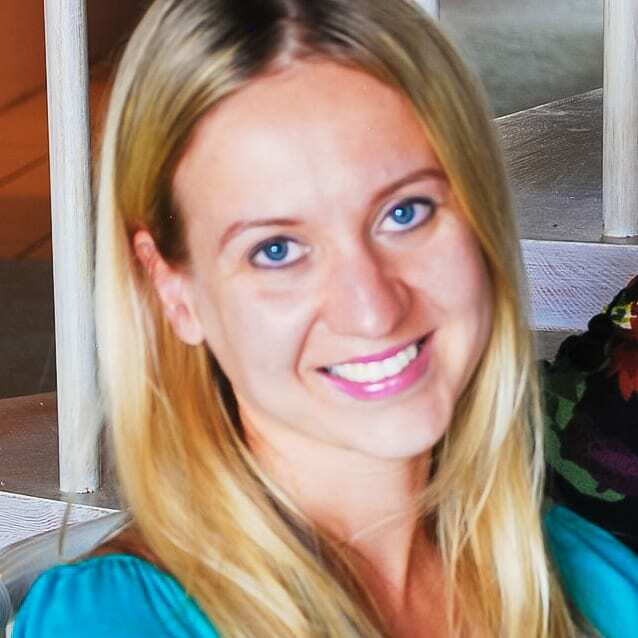 Perfect banana bread recipe for Spring and Summer! In a large bowl, mix mashed bananas and melted butter, using wooden fork or spoon. Mix in the sugar, egg, and vanilla. Sprinkle the baking soda and salt over the mixture and mix in. Add the flour last, mix just enough to blend the ingredients; do not over-mix, the lumps will work themselves out. Add lemon zest, chopped strawberries and whole blueberries to the batter and mix them in to distribute evenly through the batter. OMG! I made these into muffins and cooked them at 350 degrees for 20-25 minutes they turned out beautiful and tasted amazing. Thanks for the recipe! I searched for “what can I make with blueberries, strawberries and a banana” thinking maybe I would get some smoothies or muffin recipes. I was delighted to see your banana bread recipe. There was another bread recipe with the same main ingredients but used sour cream, which I didn’t have. So I went with yours. I doubled the recipe because I had 5 bananas on hand plus two pints of blueberries and two one pound containers of strawberries and I wanted to use as much of the berries as possible. Two of the bananas were still edible the other three were black as tar. I put them in the bowl by pulling off the stem end and squeezing the banana peel like a toothpaste tube. They came out very easily. Mine did not look like yours. I used 4 x 8 pans like you but they were not as tall and while blueberries were visible in the cut end they did not stick out the top like yours. Strawberries were less noticeable, but once in a while you would bite through one. Absolutely delicious. I sprinkled white sugar on top of the batter before putting in the oven to make a little crisp crust. Something I learned from another banana bread recipe I use. I did not use parchment paper just used cooking spray and I had no sticking problems. Once again very delicious. I don’t know when I will have this combination on hand again but when I do I will remember this recipe! could you use frozen blueberries & strawberries? Made the bread today with fresh Michigan blueberries. It was super simple and really delicious. Parchment paper is a great clean up saver too. Thanks! You’re welcome! Thanks for stopping by and letting me know how it turned out! Made this bread with whole wheat flour and it was so yummy! I served one loaf at a ladies brunch and it was such a hit! I made another loaf for home and we all loved it, especially my two year old! So fruity and delicious! Glad you liked it! Making it with the whole wheat flour is such a great idea – I need to do this too! Thank you for the idea!